One of the best advantage of Tibolar-RS (NPK 4-6-2) is, that it’s applicable in repotting bonsai, verns, to be brief, every plant/tree. First ‘victim/guinea pig’ was a Trident maple. In april 2013 taken from open ground and almost every root was trimmed. First layer of akadama placed in the pot. 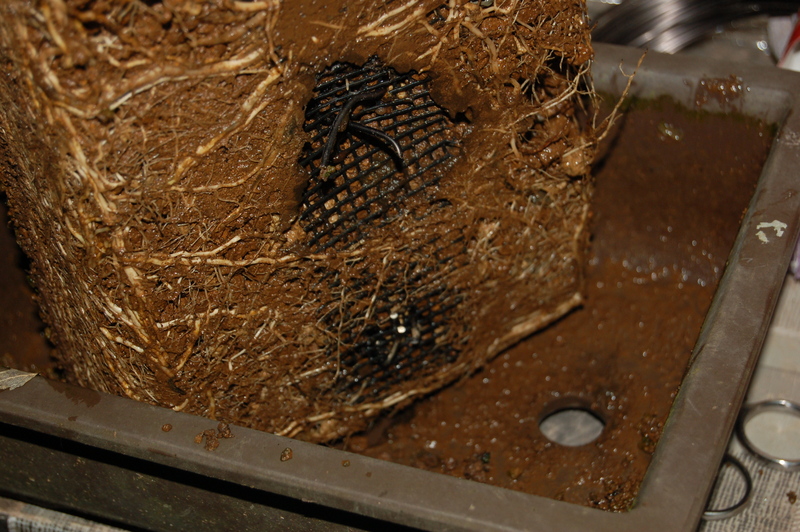 On this layer I put the powdered Tibolar-RS (NPK 4-6-2) untill it was totally covered. Than the second layer, where I replanted the maple. Wired it firmly in the pot and filled the pot up with akadama. 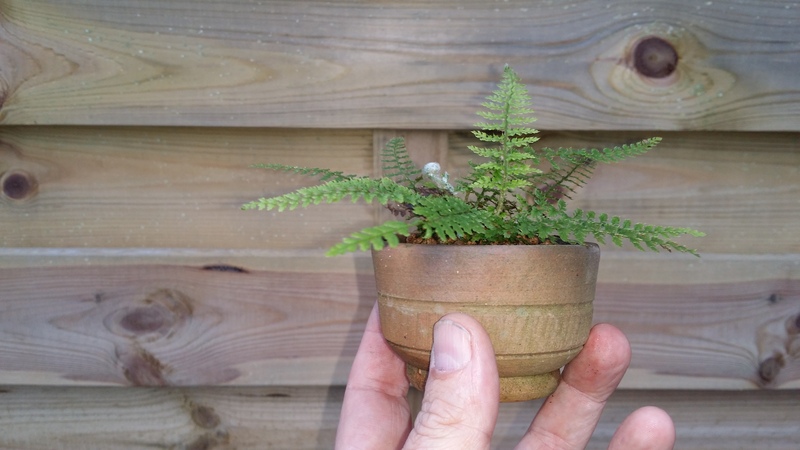 In October 2013 I took the tree out of the pot with this result. Tree was totally potbound rooted. So in 5 months I had a result what you normally get in two years (two growing seasons)! Because Tibolar-RS (NPK 4-6-2) is so mild it wont damage the roots. 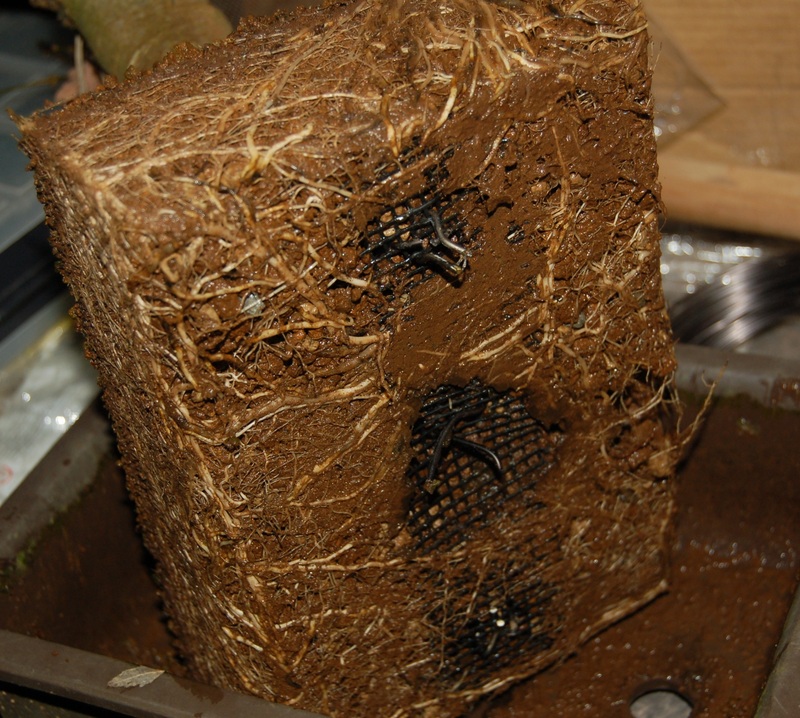 It stimulates rooting and growth. 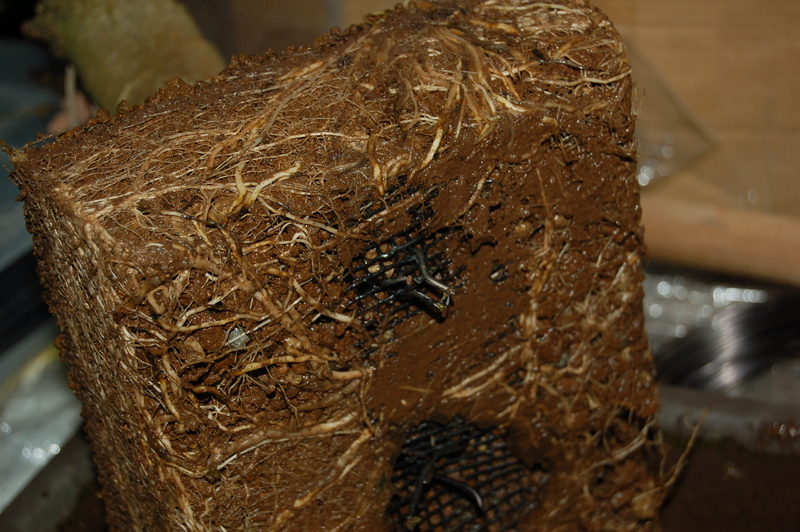 Fern roots are very vulnerable. 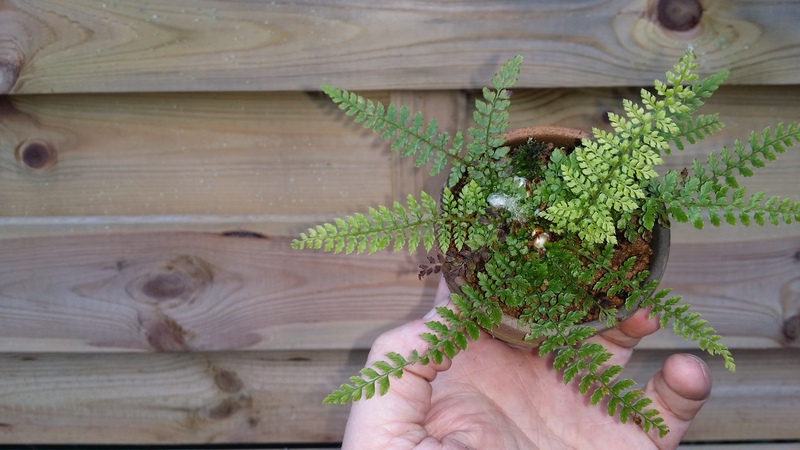 And this is what happens with ferns, when planted on Tibolar-RS (NPK 4-6-2). 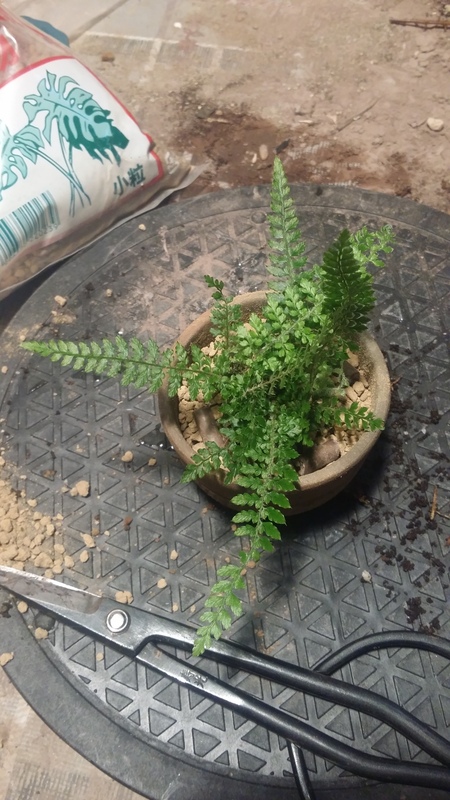 For this small fern, I took 5 pellets (+/-3 grams) and planted it ON the pellets. 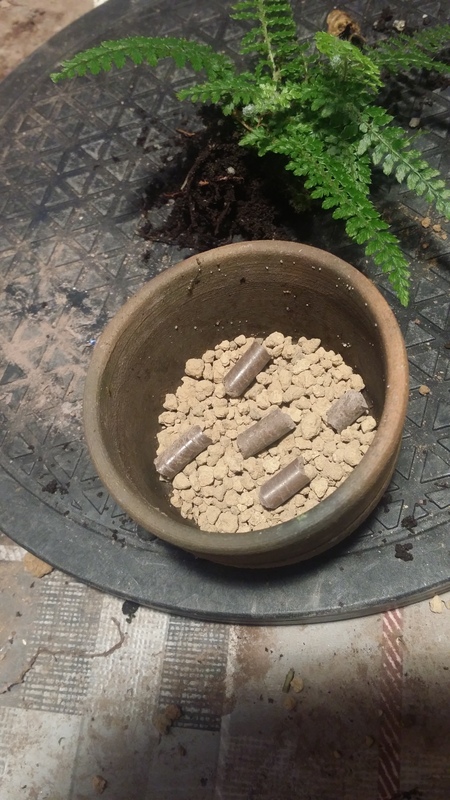 I also added some more pellets in the layer next to the fern. 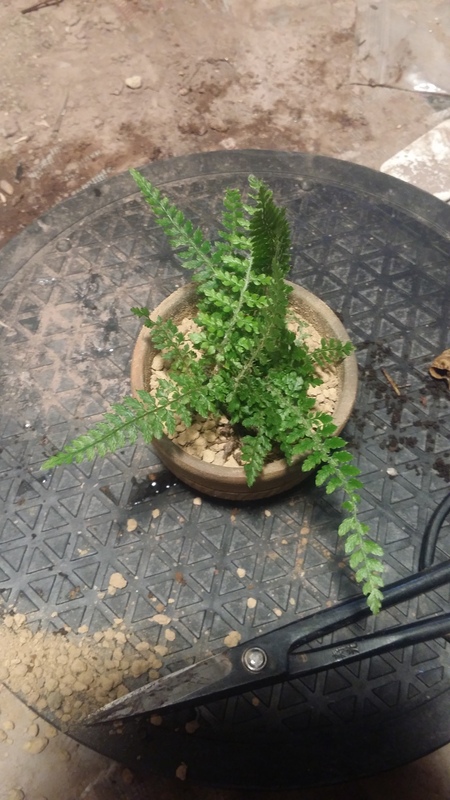 One month later the fern looked like above. 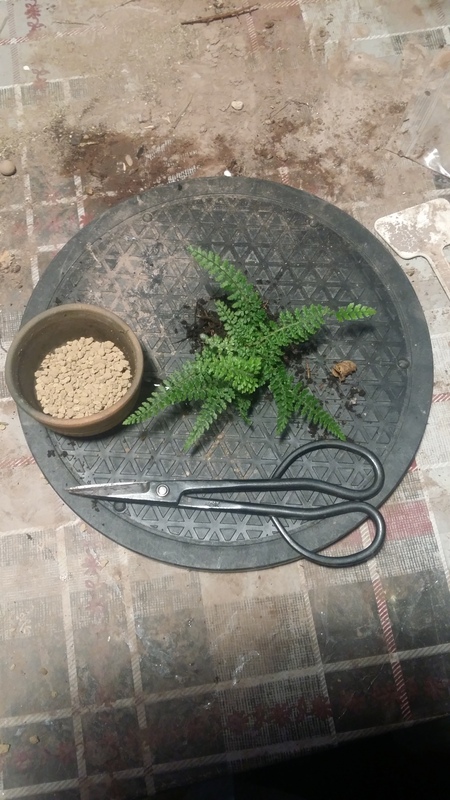 2 Responses to Tibolar-RS and repotting. not in the USA yet? We are looking for distibutors in the US.